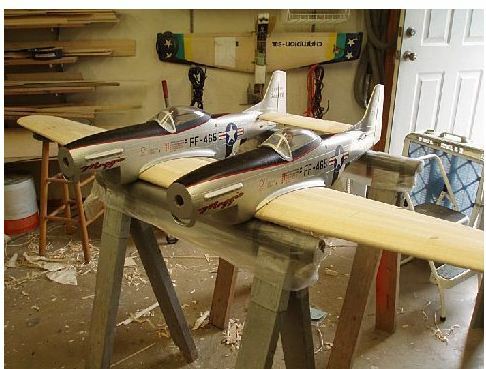 Here’s another great project from veteran model builder Rick Michelena. 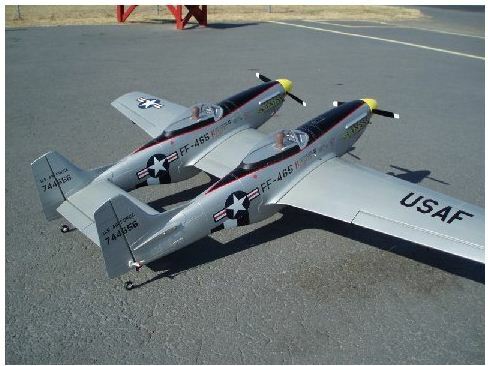 This time, Rick does some fun ARF math: P-51 + P-51 = F-82! 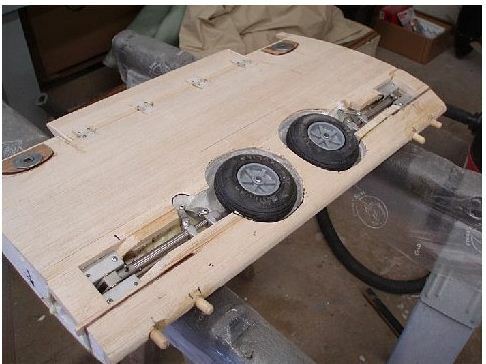 He writes: The great element of RC modeling is this: using your imagination allows for any subject to be modeled. 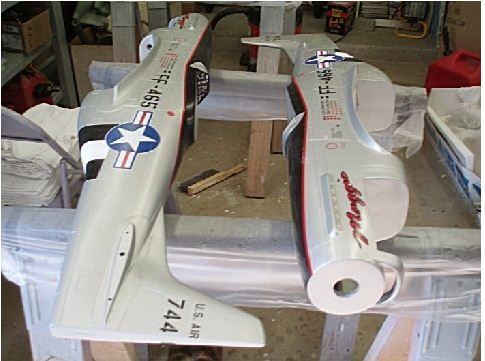 Over the past 30 years, I have witnessed the tremendous change that has occurred in our hobby with the introduction of foreign-made ARFs. 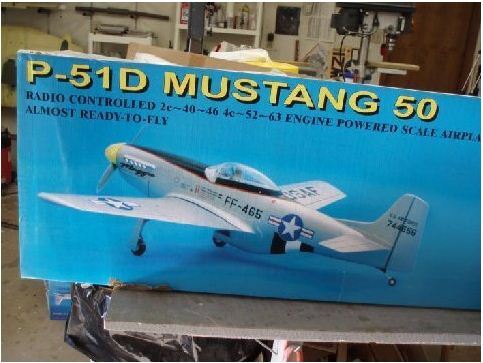 In fact, when one club member showed up with a Giant Scale Planes .40 sized Mustang ARF, I immediately thought about turning this into som*thing rather unique. 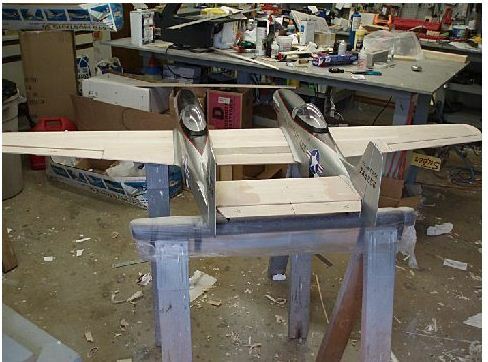 Here is my process for turning two .40 ARFs into an IMAA big bird. 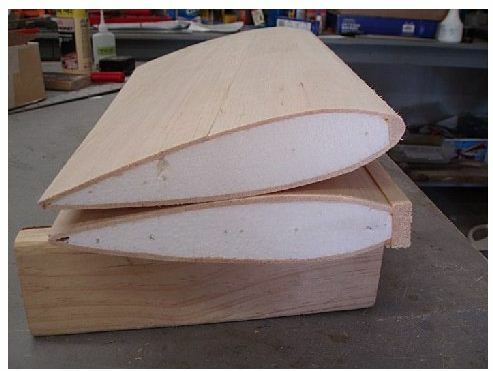 This is the top of my center section. 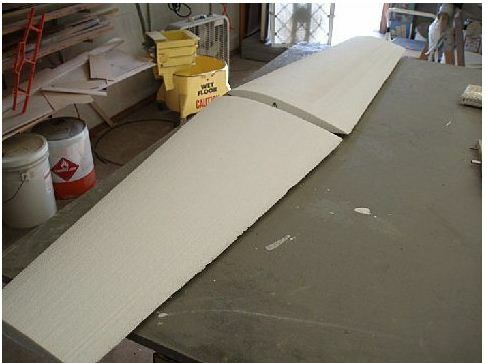 When I designed the wing core, I made channels in the wing so that I could route my wires and retract lines. 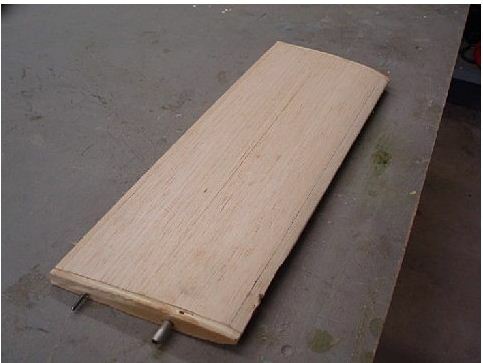 Here is a tip. While this wire looks like FUTABA wiring, it is really 20 gauge security cable. I have a friend who owns the biggest home security business in town, and while watching him work one day, I noticed the wire he was using. It comes as a shielded “four conductor” wire. Therefore, I simply str*p the covering, remove the green conductor wire, and insert the other three wires into my drill, twisting them together. As a result, I have all the servo wire I need. I simply solder my servo leads to this wire during final assembly. 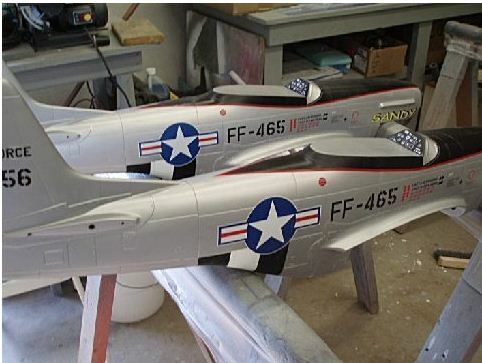 The post Turn Two Mustangs into an F-82 appeared first on Model Airplane News.